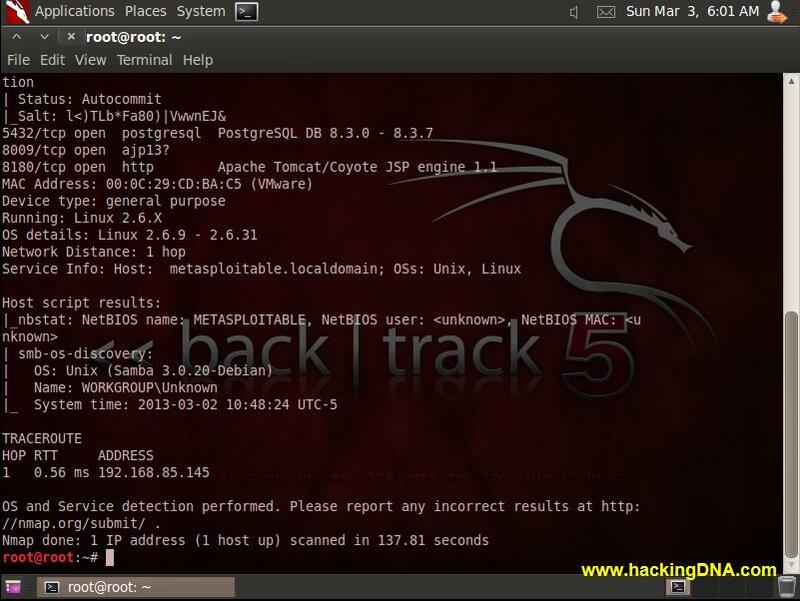 We have cover lots of tools of backtrack 5 on www.hackingdna.com . And still we miss a practise session . So i decided to create practice session . Level : The level of this session is Beginner . Soon new levels will be added . I hope you like this concept on hackingDNA . Beer ( According to your limit ) : This is optional . Find the live host on your network . Scanning the specific port ranges from 1-65535 . 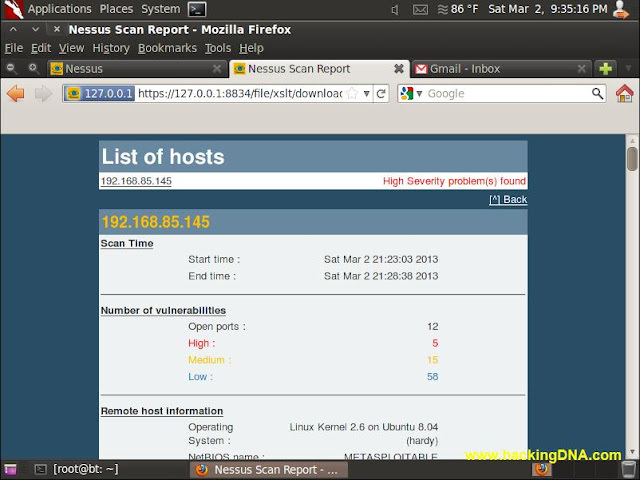 Scan atleast 3 hosts . Use XPROBE2 to find the OS running on anyone of the ip and for rest of the ip addresses use nmap aggressive mode to find OS, Version , and traceroute information . 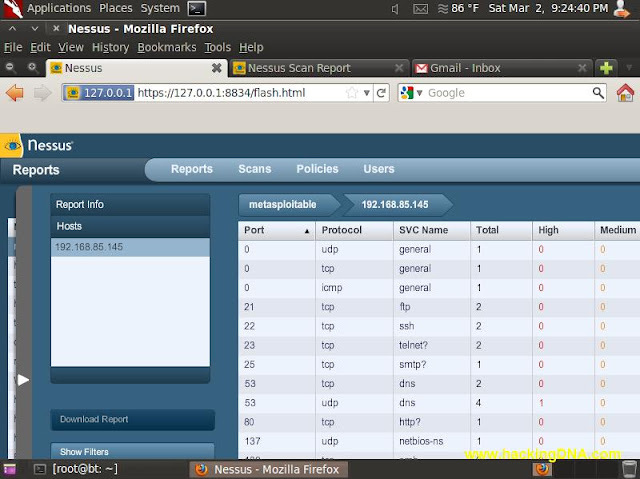 Do a vulnerability scanning with nessus of your network . This practise session looks so simple . Try it learn it and gain it . 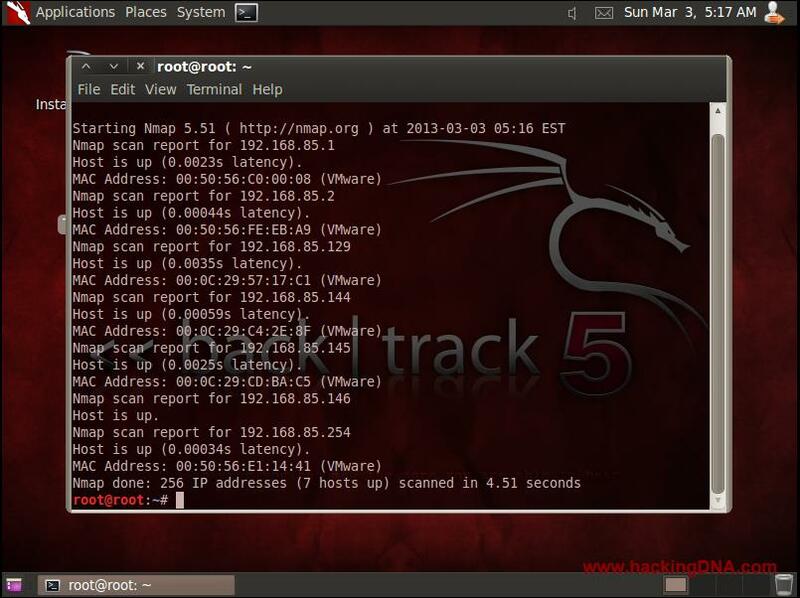 Note : You can only use Backtrack 5 r3 to complete this practise session . From the above image it is clear that what is the scenario of our virtual network . Now lets find live hosts on backtrack 5 r3 machine . 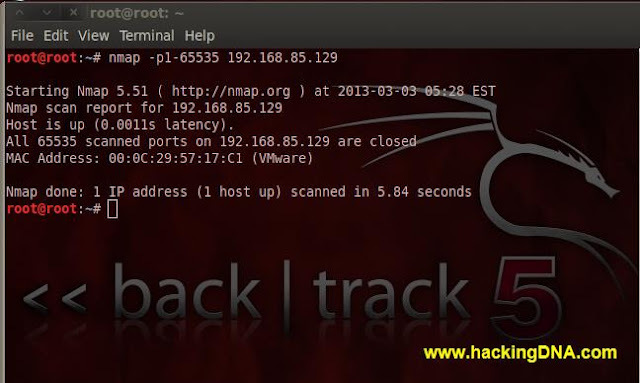 Now how to perform a port scanning through nmap , the answer is simple .Remember this one command . 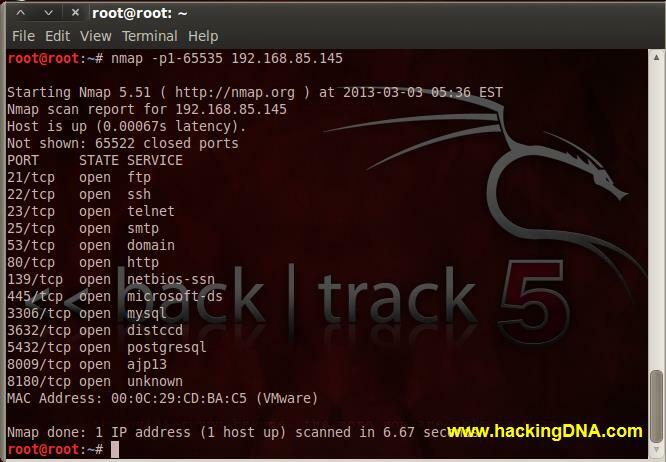 Through this aggressive detection you can identify the OS , version detection , and the traceroute . See the below image for the output . 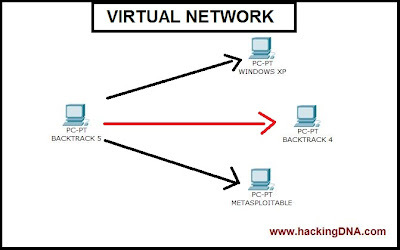 With this practise session you can learn how to work on virtual network . 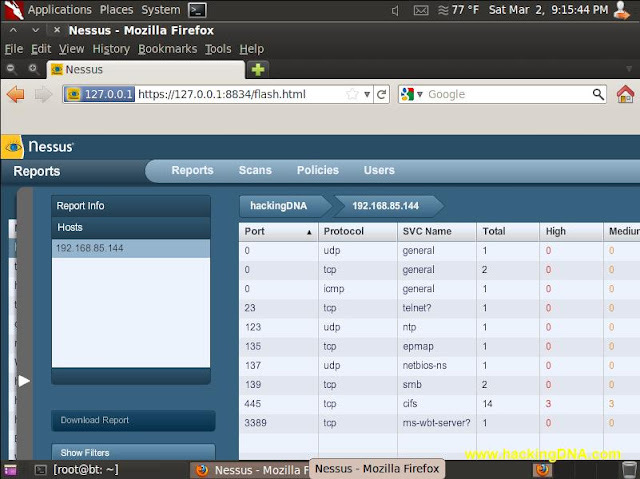 How to find hosts on virtual networks . 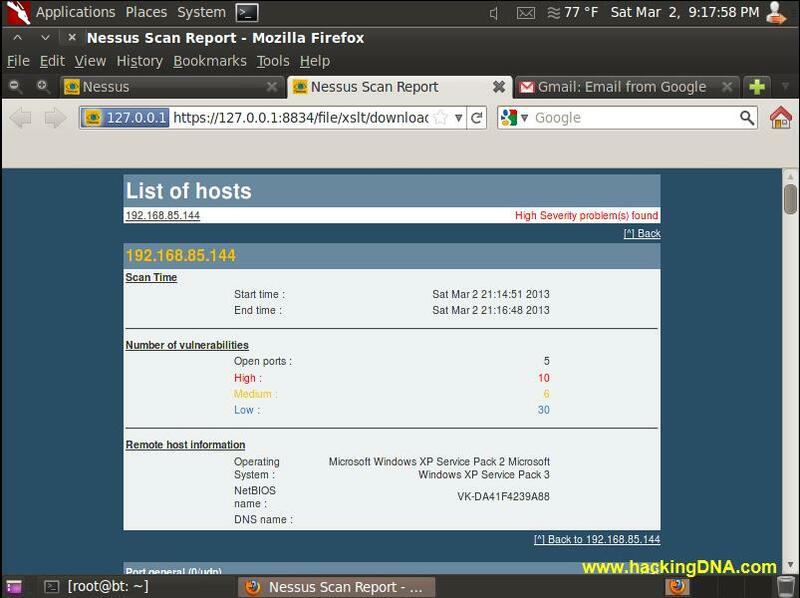 You learn how to do port scanning from 1 to 65535 port range . You also practise how to use XPROBE 2 to identify the OS running on the ip address . Also we will not stop here to find more additional information we use aggressive mode in nmap . Also i have uploaded the nessus reports of my internal audits . you can download it freely . And at last i dont think so now i have to explain how to exploit the target . All the vulnerabilities is in the report . Just use armitage ( GUI ) based and metaspoit framework (CUI ) based to get the remote shell of vulnerable ip's . If you need more help visit www.hackingdna.com . More practise session will come soon . Till then have a good day guys . ALL THE AUDIT PERFORM HERE IS JUST FOR EDUCATION , DON'T TRY IT ON ANY ORGANISATION UNTIL YOU DON'T HAVE PERMISSION . IF YOU DO AND CAUGHT IN ANY ACTIVITY , YOU YOURSELF RESPONSIBLE FOR IT . 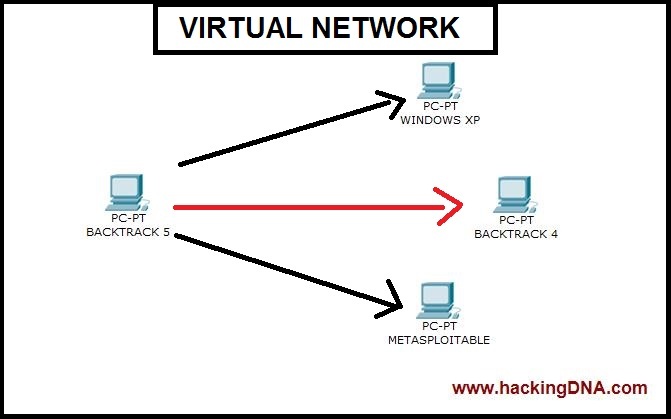 ITS BETTER FOR PRACTISE CREATE YOUR OWN VIRTUAL NETWORK AND SHARP YOU PENETRATION TESTING SKILLS .